It's not uncommon to see cars parked in a driveway outside a closed double-garage door. Sometimes the space behind the door is filled to the rafters with household goods because it was convenient to just carry another box into this ready-made storage area. But if you're one of those homeowners who's getting in gear to clear out the garage so it can be used for a more interesting use, you'll have to consider some practical matters, particularly during hot weather. Just as heating systems typically don't extend into garages, air conditioning also usually stops at the door of a home's livable space. As a result, if you're going to transform your garage into an addition to your living quarters, you'll have to consider how to ventilate it properly and how best to circulate cool air during summer. According to Red Beacon, homeowners sometimes make over their garages into additional bedrooms for a growing family, but more often the space is used for an "extra" room such as a home office, gym, game room or home theater. Often, homeowners don't want to remodel their garages completely, but they may need room for a workshop or hobby center. In those cases, renovation isn't necessary, but dealing with air quality and heating or cooling are still issues. The right electric fan will circulate air in a way that's appropriate to the space and the activity. 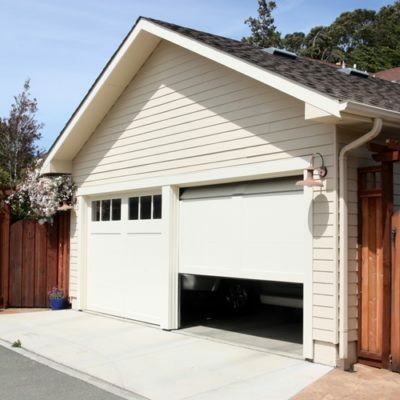 For instance, if the entire garage needs air circulation, a high velocity fan is a good investment because it streams a large airflow into the space quickly and reaches all sections of the garage. To focus on a work area, however, a tabletop blower fan may be enough to keep you cool while you're busy on a project. Wall-mounted units are also convenient because they don't take up floor space. These fans come in a variety of styles to meet many needs, including oscillating and pivoting models. Several wall fans even offer remote control. Getting the correct fan for a garage is no different from using fans in your house.To determine which model works best, consider where you need the air cooling and circulation most, the direction and speed of airflow that's needed and how much cooling is necessary to keep the space comfortable.